Apple won an 8-3 vote at a U.S. federal appeals court on Friday, successfully reinstating a $119.6 million verdict against Samsung for violating iPhone patents including a "slide-to-unlock" concept. The court ruled that an earlier three-judge panel was wrong this February when it tossed Apple's original win, according to Bloomberg. The trial judge has been asked to consider whether Samsung may owe more money, if there was any intentional infringement. The earlier decision to toss the verdict was mistakenly based on issues that weren't raised on appeal, or information outside the trial record, the U.S. Court of Appeals for the Federal Circuit said in its majority ruling. The prior three panel judges formed the opposition in the full vote, which reportedly came as a surprise, since the Court of Appeals didn't say it would consider the case before a full panel prior to issuing its opinion. One of the dissenting judges complained that the court shouldn't have moved to a full panel without accepting further legal arguments. Aside from slide-to-unlock, Samsung is also accused of infringing patents on autocorrect technology and phone number detection. 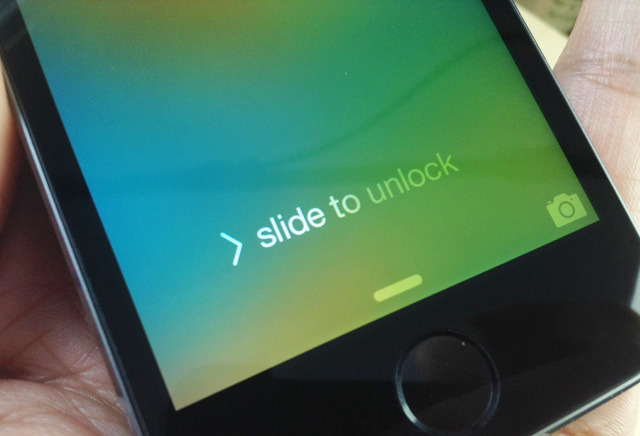 Ironically, Apple no longer uses slide-to-unlock on iOS devices, having moved to a simple button press with September's iOS 10 —users are then prompted to apply Touch ID or their passcode, if they have either enabled. Apple and Samsung are just one week away from a much larger battle at the U.S. Supreme Court, where the latter company is hoping to significantly reduce $548 million in damages for other patent violations.